20 Facts We Bet You Did Not Know About F.R.I.E.N.D.S. F.R.I.E.N.D.S. is one of the most viewed TV shows of all times. Such is its charisma that it has people born in at least three decades addicted to it. We bring to you some lesser known trivia from your favourite series! 1. Joey and Chandler’s big white dog actually belonged to Jennifer Aniston. A friend gave it to her as a good luck gift when the show started. 2. The show was originally called 'Insomnia Café'. 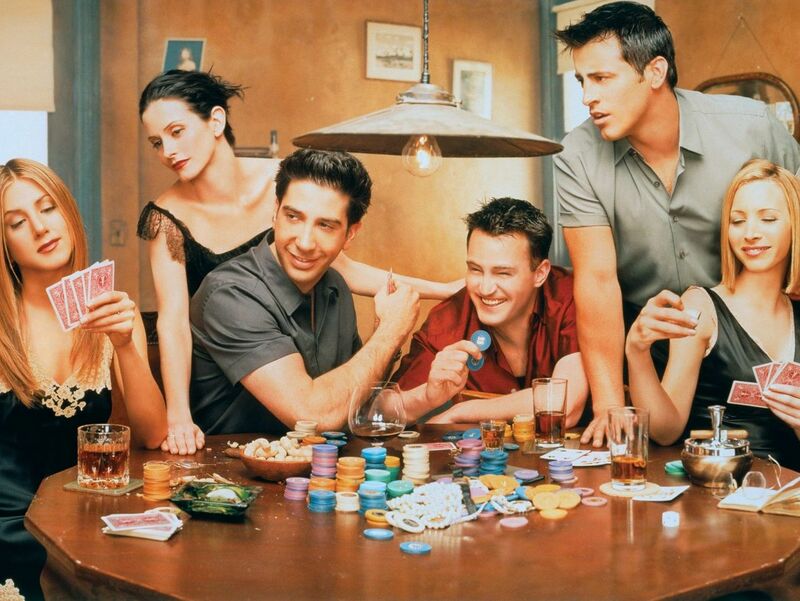 It was then renamed ‘Friends Like Us', and then 'Six Of One', before becoming F.R.I.E.N.D.S. 3. When the show was first written, Joey and Monica were intended to be love interests. 4. Like Monica and Chandler, real-life couple Courteney Cox and David Arquette had trouble getting pregnant. 5. When Lisa Kudrow first read the script, she thought Chandler’s character was gay. 6. James Michael Tyler was cast as Gunther since he was the only extra who knew how to operate an espresso machine. 7. Producers originally wanted Courteney Cox to play Rachel, but she asked to play Monica because the character was so strong. 8. Ross is 29 years old for three years. 9. The orange couch in Central Perk was found in the basement of Warner Bros. studio. 10. When Matt LeBlanc auditioned for the role he only had 11 dollars. 12. The storyline of Phoebe having her brother’s babies was thought up when Lisa Kudrow announced her real life pregnancy. 13. Courteney Cox is the only regular cast member to not receive an Emmy nomination for her work on the show. 14. There weren’t really any bedrooms behind those doors at Monica’s apartment. In fact, they had the Central Perk set made on the other side of the wall! 15. Courteney Cox was a neat freak just like Monica in the show and would clean the other actors' dressing rooms. 16. The writers used a pie chart to track how many lines and jokes each character said, to make sure each actor had the same amount. 17. Matthew Perry, Matt LeBlanc and David Schwimmer played video games between takes. 18. Lisa Kudrow was considered the smartest by the other actors, despite the ditzy character she played. 19. Even before they became a couple on the show, Courteney Cox said that if Monica had to “do” a friend, she would choose Chandler. 20. All of the six main characters have kissed each other at one point, except Monica and Phoebe. So how many of these did you know? Know more? Share with us in the Comments!